"Anime North was so great this year, I was super relaxed and had a lovely time. 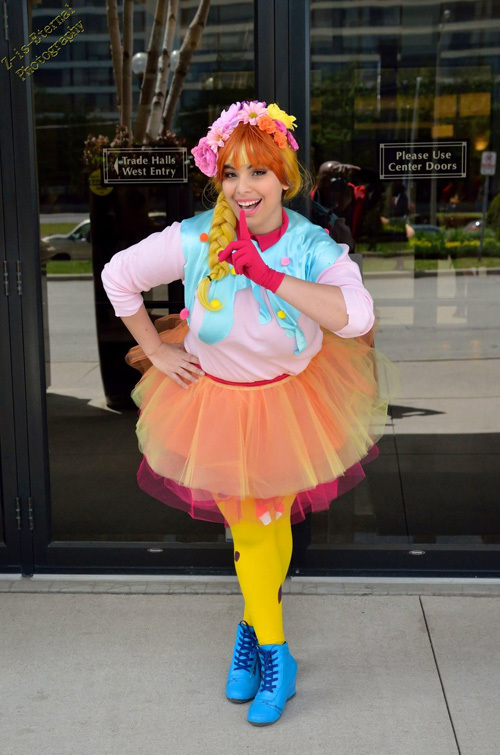 I went the�Friday�to�Sunday�and cosplayed all three days, I wore Merida (Brave)�on Friday, Dryad Soraka (LOL)�on Saturday�and Princess Serenity (Sailor Moon)�on Sunday. There were so many great cosplays at the convention and they all totally inspired me! I might just be planning for next year already! XD"
"This was my 3rd year at Anime North. I always get blown away every year by the amount of cosplayers at this convention. It's like no other convention I've ever been to.��I love seeing all the great cosplays people wear every single year.� Even though I don't know 80 percent of the characters I still love seeing everyone's creativity and hard work. 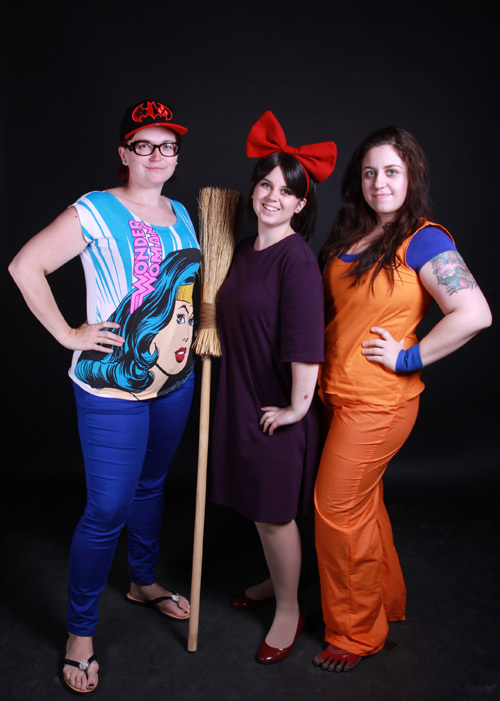 I wore my kigu on Friday, Jade from Mortal Kombat on Saturday and Goku from DBZ on Sunday. 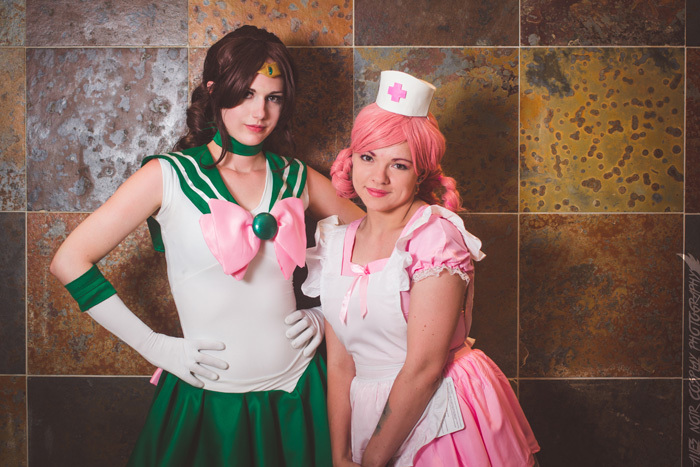 This year I helped out at Cosplay for a Cure.� It was very very busy and I had tons of fun. I saw lots of friends made a ton of new ones, this is by far the best experience I've had this year so far. Looking forward to next year." "This year's Anime North was amazing! It was, hands down, the best year to date! I was rooming with some really cool people and we got into so many shenanigans its not even funny. I wore my Pool Party Sona for most of the weekend, and it went over really well. 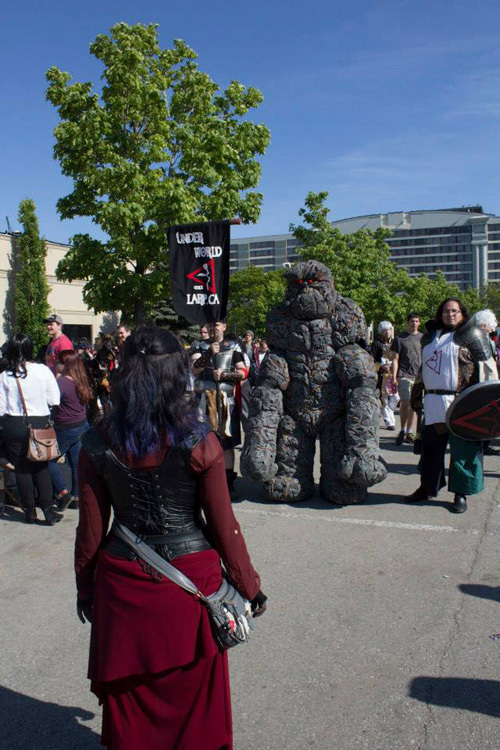 It was tough to wear on the�Friday�since it got so cold, but we suffered through and had an amazing League of Legends group of cosplayers to walk around with. And�on Sat�I even got to go into the dealers room with my civvies on and walk around enjoying that side of the con. I have never really done this before, it was awesome to see the entire dealers room for once! And I even practiced my haggling skills and ended up saving around $40 with all the things we bought. I ended up getting some really cute figurines, Misato from Evangelion and an adorable little Hello Kitty girl who I will be cosplaying as for sure!! Also picked myself up some smutty Kenshin comics -grins- which i will definitely be enjoying! lol Had some awesome times in the room parties and spent some great times with some of the coolest people <3"
"Anime North 2015 was one of the best for me yet! It was my 10 year anniversary of going to conventions, my third year with Cosplay For A Cure, and my first time doing a couples cosplay with my boyfriend! While I didn't party nearly as hard as other years, I think I made the best of my time between working the CFAC booth, enjoying the maid cafe, attending some amazing photoshoots and meetups, seeing friends I haven't seen since last summer, and meeting some cosplayers who I really admire. I want to specifically thank Cafe Delish for being so kind, the wonderful photographers I worked with all weekend, and Skyleaf Creations, Elemental Photography, and all of our CFAC volunteers for keeping the booth running smoothly throughout the con! I can't wait until next year! 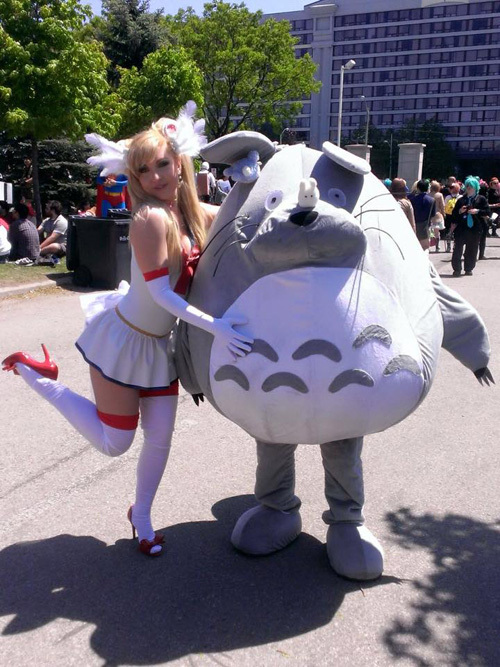 <3"
"This was actually my 10th year attending Anime North (yikes! 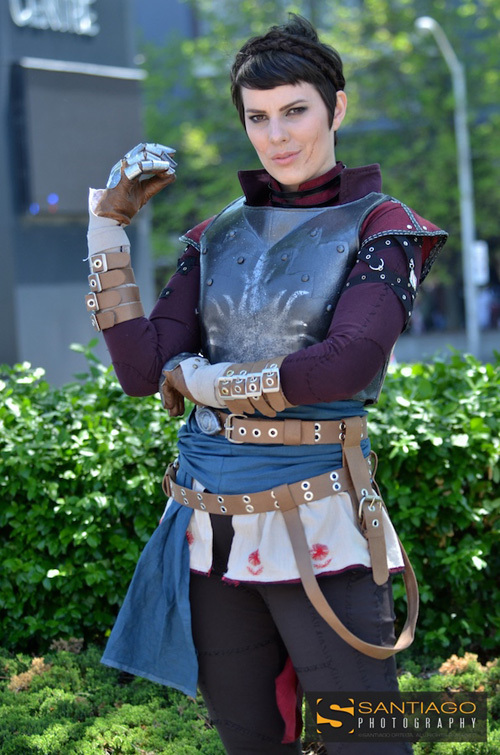 ), I was only able to attend�on Saturday�but I had a great time.� I managed to finish my Cassandra Pentaghast costume just in time to join my friends for Dragon Age shenanigans :D.� Big thanks to�KillurMonkey for doing my scars for me. 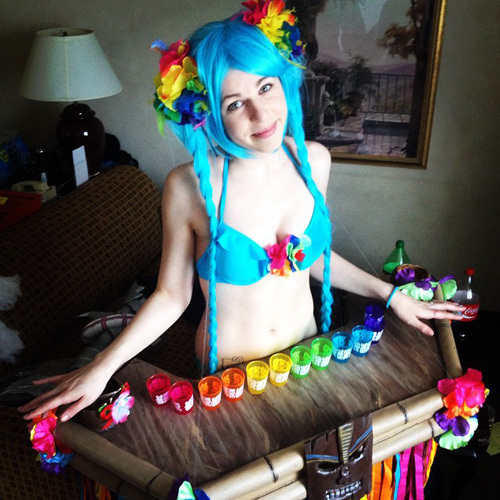 -GilllyKins"
"I had fun this year at Anime North but I was really super busy, I had about 4 total costume changes with 3 of them�on Saturday. 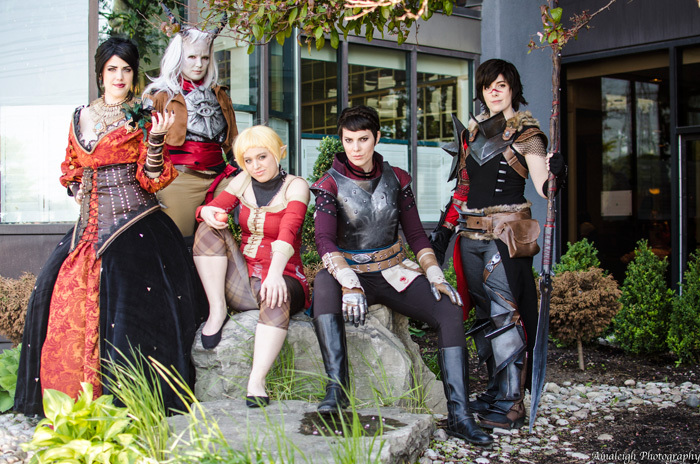 I was Fionna�on Friday, Toph Beifong�Saturday�morning, Dark Elf for Underworld larp�Saturday�afternoon, Nurse Joy�Saturday�night an all day�Sunday. �The weather turned out to be better then I expected this year, but really hot for some of my cosplay choices. And then there was a shoe disaster, I learned that buying shoes a few days before cons is the worst idea ever. All in all it was a good con and I had fun, and I am super exited for next year!" 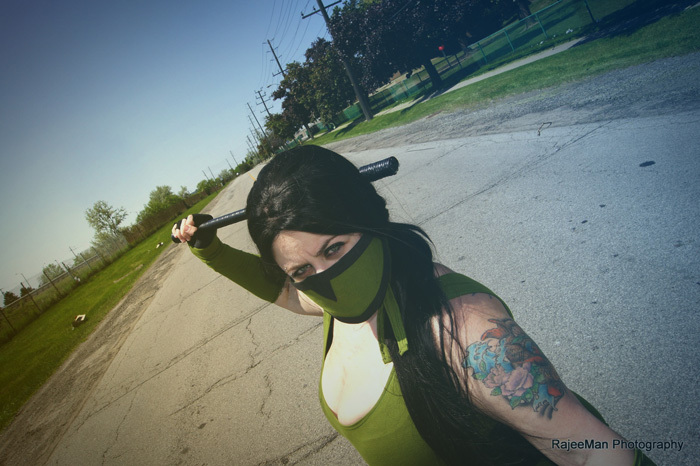 "This was my second time going to Anime North and I had so much fun! I wore my Just Dance Dance Coach costume and made two new ones for that weekend. 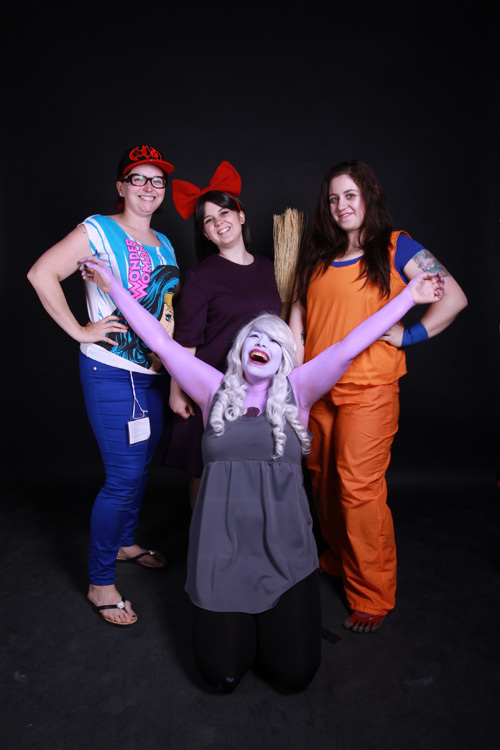 They were Ursula from The Little Mermaid and Amethyst from Steven Universe. Between photoshoots, hanging out with friends and wandering the Dealers Room I was constantly busy. I made some new friends and got to meet some of my lovely fellow Geek Girls. It was quite the whirlwind of activities and I look forward to next year!" "Anime North was a blast as always! I have been attending the convention 7 years now and I keep coming back for more! I love the events, the cosplayers, the shoots I do. I just love everything about it! 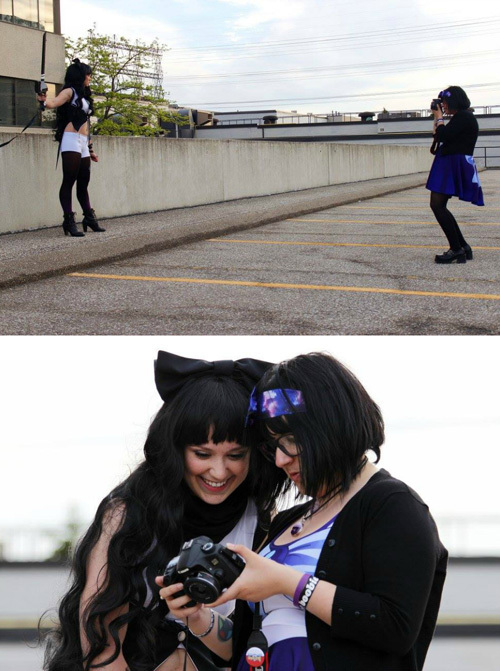 I have fond memories that come from Anime North, and it keeps making more wonderful ones! I very much look to attending next year!" "I had a great time at AnimeNorth this year seeing friends and meeting new friends! There were so many incredible cosplays, it felt like everyone upped their cosplay game from last year! In my experience, it felt much more organized this year and the space in the dealer's room was a big plus, I mean you could actually go table to table without being squished in. Overall, I managed to have a great time and come out of it all with hundreds of photos! A great kickoff to the summer con season!" 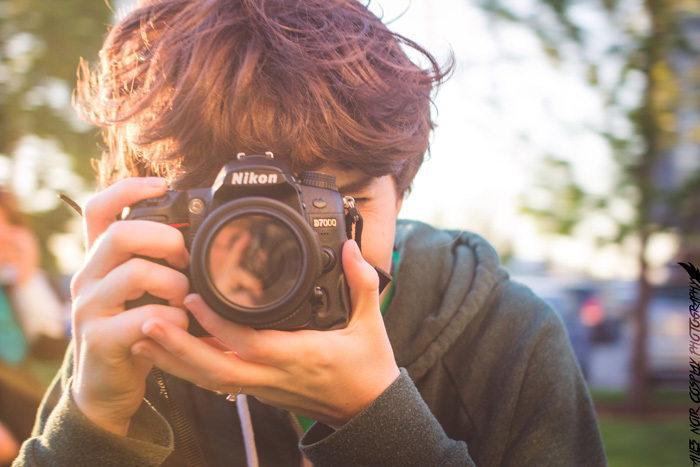 "I've been attending AN for quite a few years now. This year was the first time I stayed in a hotel. I should of gotten one years ago, would have relieved so much stress. Especially when it comes to changing in and out of your costumes. Here's my mini highlight of the weekend. Day 1: I got to work for the Atomic Lollipop booth this year. I handed out candy and "ultra rare" pokemon cards to con goers. 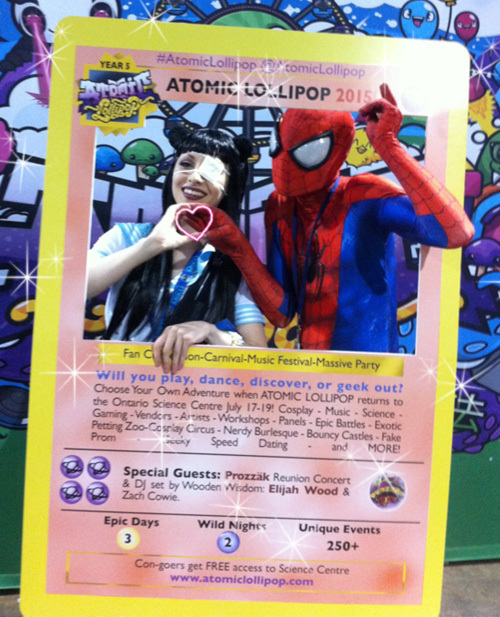 Apop is an awesome fan convention, music fest, carnival, and circus. Its�July 17-19�and will be held at the Ontario Science Centre this year. The adorable Spider-Man photographed above is Yo Napper. 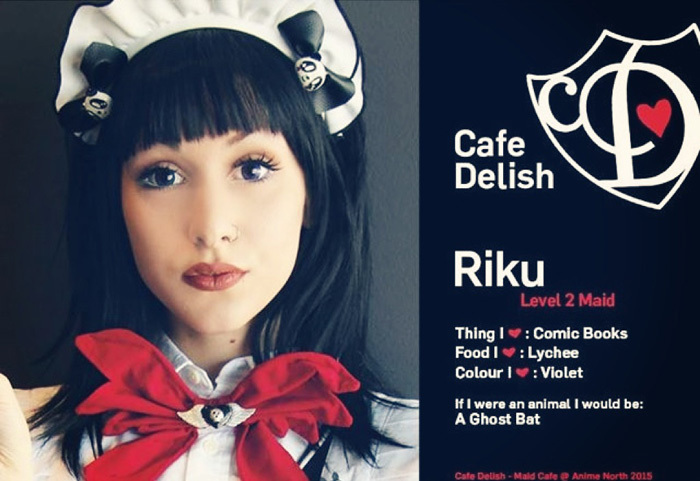 Day 2: I was a meido for Cafe Delish this year. We had a special Neko themed cafe for our last 2 seatings. Each maid had their own personality. I was the mischievous cat (Riku). This years meido cafe will be the most memorable for me. For our last seating, we had a guest Makoto Hayashi surprise the cafe staff with a gift. 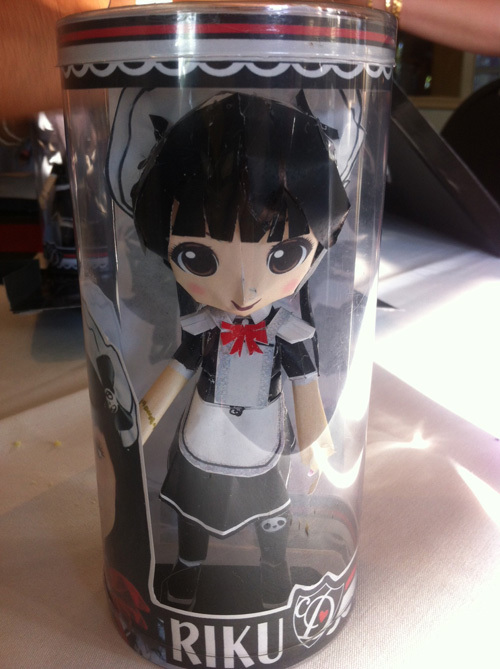 He made adorable paper dolls of all the maids!. They were insanely accurate and my favourite gift of all time. I finally own an action figure of myself, yeeeee!!! He told us he spent a day making each maid. Day 3: I was really tired from the second day and ended up heading back to my apartment instead of staying the night. My boyfriend and I came back late Sunday afternoon. I didn't get a chance to check out the dealers room all weekend, Sunday was the best day for this. Less crowded and good deals on merch. We purchased the Grant Morrison X-men series, for a super great deal. (Highly recommend! )�� I also grabbed an adorable figure of Mikasa from Attack on Titan Overall, I had a great weekend. My only regret is not taking many photos and being too tired to wear my costume this year. I'll have to bust out my cosplay for the next con." 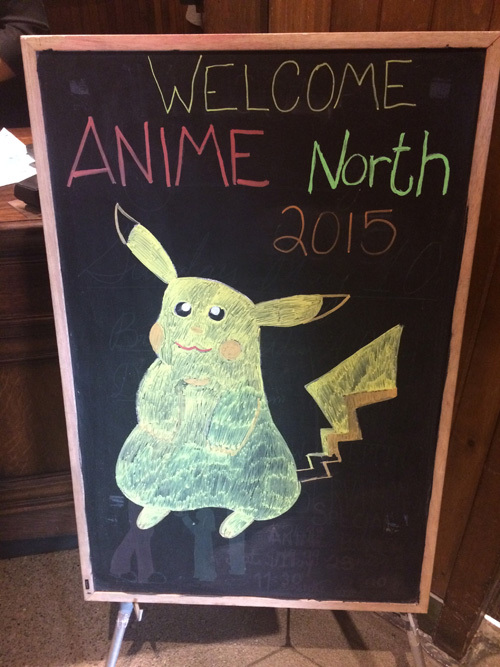 "I had a really great weekend at Anime north 2015! Gina G. and I spent part of it helping out at the Cosplay for a Cure booth, with guest star Sam! It was such a fun filled and exciting weekend- someone even proposed at the booth! Saturday I competed in the masquerade and took photos with some of the best cosplayers Canada had to offer, including this lovely batman who made his suit entirely by hand! 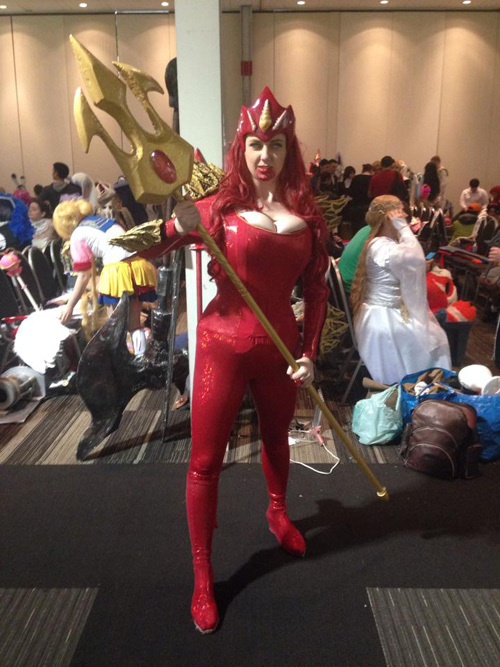 I'm really happy how my Red Lantern Mera came out, and will definitely wear it again in the future. My #1 win of the weekend though was definitely the super cute hedgehog kigurumi I treated myself to as a birthday present! Can't wait for next year!" 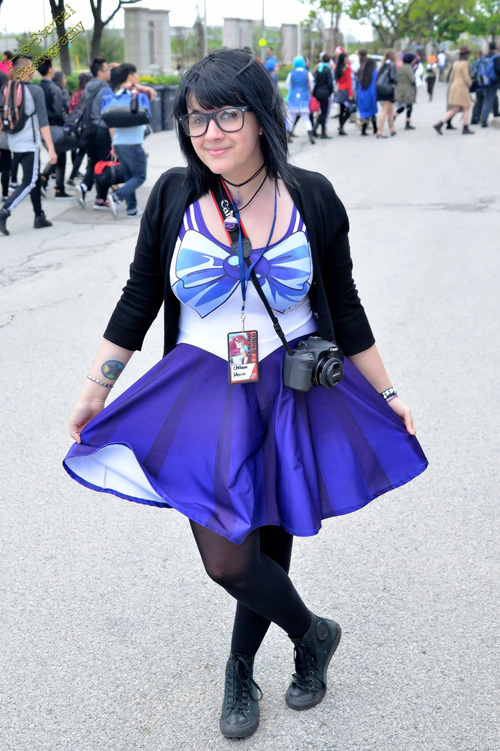 "I've been attending Anime North basically every year since I was 14 years old (I am now 23) and have always loved it! 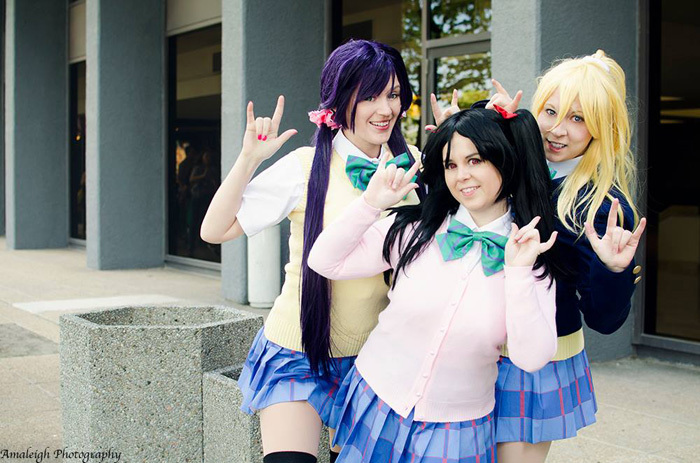 Anime North holds a special spot in my heart because it is the event that inspired me to start cosplaying and was a way to get together with friends from far off places. I have always had a blast every year I've attended and this year was no different! I absolutely loved it! There was lots to see when it came to wandering around, be it outside, in the dealers room, or in the associated hotels. The energy and crowd is always positive and high! Unfortunately many of the events were running late this year, causing me to miss some things, but the rave was a total blast, as it always is. On the official Anime North page I have seen a lot of complaints. I think that people forget that this is a volunteer run event for CHARITY! Many of the proceeds go towards Sick Kids Hospital in Toronto, so all of the people involved in the running of this con are all doing so out of the kindness of their hearts. They also had their largest attendance this year, and were more than likely not entirely prepared for the amount of chaos and people. I'm sure that they tried to handle all complications to the best of their abilities. Con goers must keep in mind that these people are all working extremely hard, with very little profit to themselves. Patience and appreciation for their efforts for putting on an amazing convention is much needed! Anime North has always been a spectacular convention and I have the utmost faith that it will continue that standard in the future!"